Landscape is an artistic genre that we think we know, that we expect to be given; on faith we often take landscape imagery to be innocent, passive or transparent. But place and its incarnations are never so simple. As we live in landscape or pass through it, we respond to its material structures, alternately isolating elements –to best understand a tree, a river, a mountain or a sea—or accepting its continuous, blurred and interpenetrating relationships. The ways in which we see and then translate landscape into representation come in part from our own experiences but they are importantly mediated by an encyclopedic range of conventions that frame, evaluate, elevate and reject the worthiness of certain places as “landscape”. 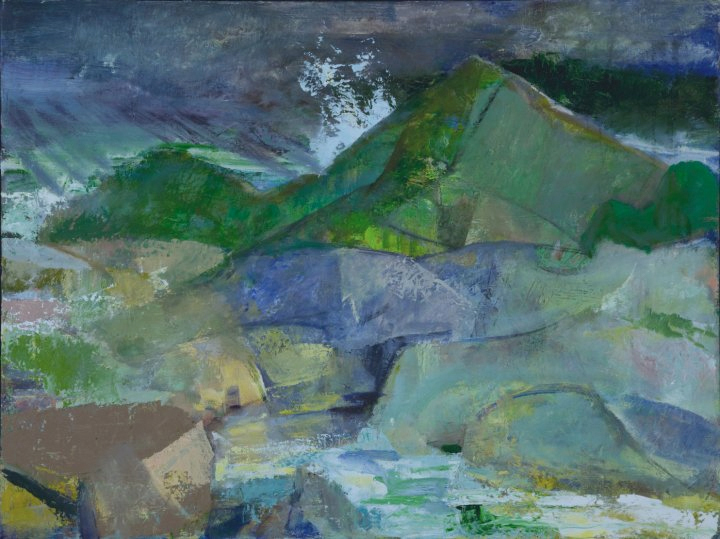 Many permutations of landscape are at the heart of Donald Beal’s artistic practice. His family has its roots planted on the Maine coast. Fresh from graduate school, he first came to Provincetown in 1984, and gradually worked his way inland from its endlessly seductive shoreline to the Beech Forest: a place less severe, pure or sublime, and much harder to generalize. The views afforded there shift with every footstep and change constantly with the weather. Without an obvious horizon, focal point or delineation betwen fore-, middle and background, this remarkably wild bit of land demands complex visual languages and sustained practices of looking. 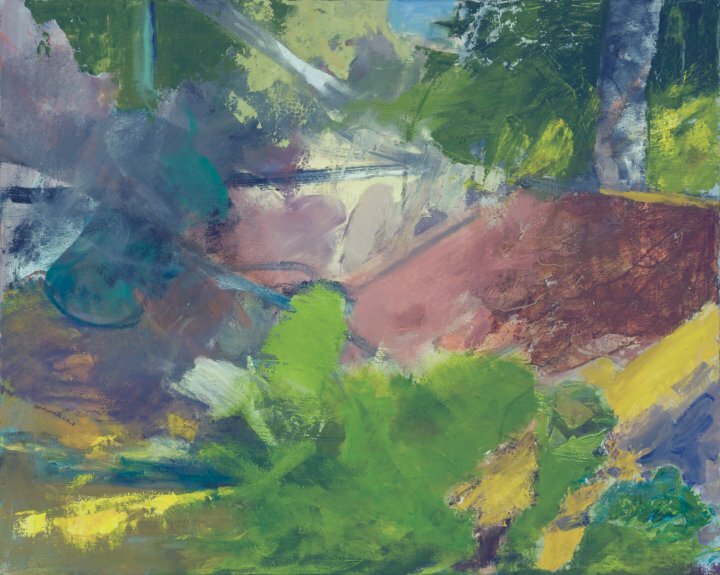 Beal’s open-air oil sketches made from life repeat and enlarge his landscape repertoire and bring new terms of formal values, structures and tensions to his studio practice. In addition to the vocabulary of working on site, Beal’s recent paintings rework and reinvent senses of place through many conventions culled from the history of landscape painting: thus a Dutch note of Jacob Ruisdael sounds in the dramatic framing of one view and, in another, the viewer’s eye is led into the distance down a theatrical path, narrowly skirting the Hudson River bombast of Frederic Church. At times, Beal almost impossibly (after Paul Cézanne) hints at Claude Lorraine’s classical and deliberate march toward the horizon. In some landscapes, we yearn to arrive at the arbitrary cloudbursts of light in the distance, yet we remain forever cast in the foreground’s shade. Beal notes that one long, horizontal panel, whose visual field consists only of truncated trees, a bank of earth and an unexplained fire was painted after looking at Nicolas Poussin’s Arcadian landscapes and reading Ovid’s Metamorphosis. 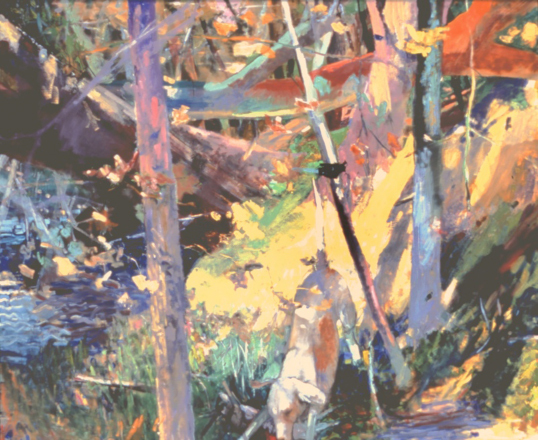 In the studio, the artistic language gradually acquired from open-air landscape practice meets these many frames of reference to generate paintings on a larger, more imaginative scale. 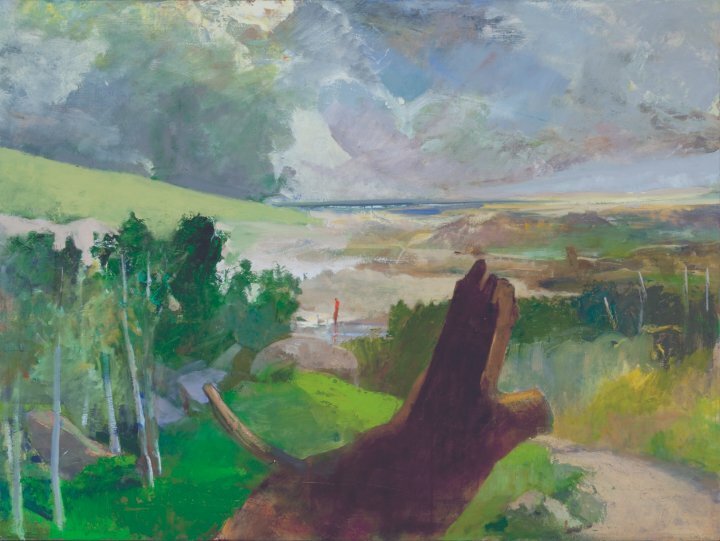 Beal’s landscapes take place in their own time: the deliberate contemplation and revision that the studio paintings demand are as a game of chess to the impulsive poker hands of the oil sketches. The larger works are informed by, yet do not repeat the sketches’ observations, as new, unheard of places come into being in the process of painting. At a moment long past the certainty of Modernism, Beal plays with the back and forth of formally flattened rhythmic grids and perceptions of fictive deep space. Into this space of pure painting, invention and chance come into play. Relying upon a learned landscape vocabulary that has become a flexible and intuitive place of comfort and authority, memory and free association often upwell into uncanny presences that assert themselves. The rocky Maine coast is repeatedly incarnated: in one case a landscape painted from memory recalls an island (really little more than a pile of rocks off Jonesport) where a relative keeps a rough shack. 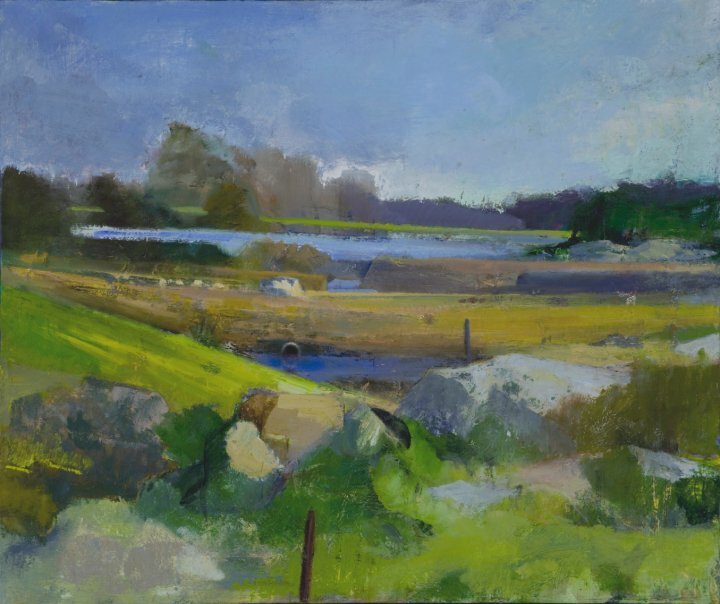 Other places that emerge on the canvas in the studio evoke sites of memory from Beal’s childhood in Northeastern Massachusetts: desolate gravel pits and abandoned quarries, uncanny layers of worked places now desolate. As if memory leaks out unbidden, animals emerge, disappear, freely transform their species on the canvas. They occasionally dart between the trees, like shades of Pisanello. He explains their emergence as a way of ‘upping the ante,’ of finding a way to complicate the description of place or subjective vision inherent to the genre while maintaining a strangely non-narrative presence, neither nostalgic nor polemic.